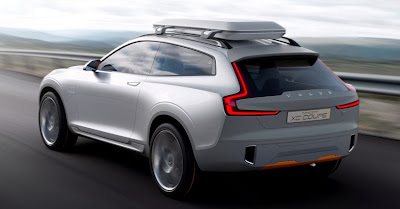 The Volvo Concept XC Coupé was unveiled in January at the 2014 Detroit Motor Show. It won the 'Best Concept Car' title as well as the award for 'Best use of Colour, Graphics and Materials'. The difference between the two-door, four-seater Volvo Concept XC Coupe and the Volvo Concept Coupe include the larger 21-inch wheels, accentuated wheel-arches and a taller roofline.